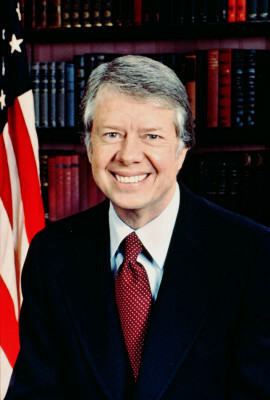 James Earl "Jimmy" Carter, Jr. is an American politician and author who served as the 39th President of the United States from 1977 to 1981. In 2002, he was awarded the Nobel Peace Prize for his work with the Carter Center. 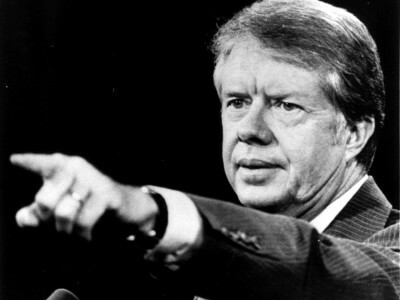 As the 39th president of the United States, Jimmy Carter struggled to respond to formidable challenges, including a major energy crisis as well as high inflation and unemployment. In the foreign affairs arena, he reopened U.S. relations with China and made headway with efforts to broker peace in the historic Arab-Israeli conflict, but was damaged late in his term by a hostage crisis in Iran. Carter’s diagnosis of the nation’s “crisis of confidence” did little to boost his sagging popularity, and in 1980 he was soundly defeated in the general election by Ronald Reagan. 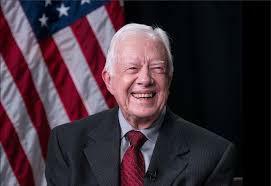 Over the next decades, Carter built a distinguished career as a diplomat, humanitarian and author, pursuing conflict resolution in countries around the globe. At a time when Americans were disillusioned with the executive branch of government in the wake of the Watergate scandal, Carter managed to build a constituency by marketing himself as an outsider to Washington politics. He won the Democratic nomination in July 1976 and chose Senator Walter F. Mondale of Minnesota as his running mate. In the general election, Carter faced Republican incumbent Gerald R. Ford, who had succeeded to the presidency after Nixon’s resignation. In November, Carter won a narrow victory, capturing 51 percent of the popular vote and 297 electoral votes (compared with Ford’s 240). 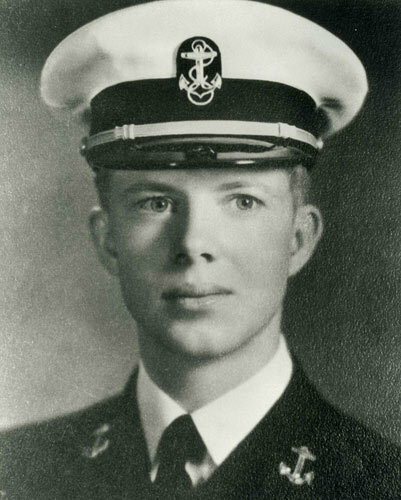 As president, Carter sought to portray himself as a man of the people, dressing informally and adopting a folksy speaking style. He introduced a number of ambitious programs for social and economic reform, and included a relatively large number of women and minorities in his cabinet. Despite Democratic majorities in the House and Senate, Congress blocked Carter’s proposal for welfare reform, as well as his proposal for a long-range energy program, a central focus of his administration. This difficult relationship with Congress meant that Carter was unable to convert his plans into legislation, despite his initial popularity. Carter’s relationship with the public suffered in 1977, when Bert Lance–a close friend of the president whom he had named as director of the Office of Management and Budget–was accused of financial misdealings in his pre-Washington career as a Georgia banker. 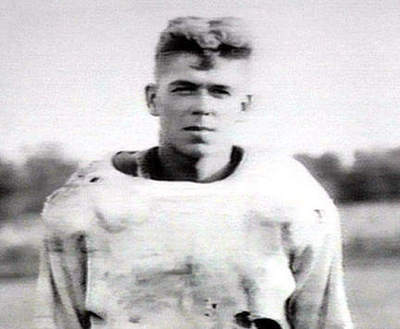 Carter initially defended Lance, but was later driven to ask for his resignation. Though Lance was later cleared of all charges, the scandal-marred the president’s much-vaunted reputation for honesty. In 1977, Carter brokered two U.S. treaties with Panama; the following year, he presided over a tough round of meetings between Egypt’s President Anwar el-Sadat and Israel’s Prime Minister Menachem Begin at Camp David. The resulting Camp David Accords ended the state of war between the two nations that had existed since Israel was founded in 1948. Carter also reopened diplomatic relations between the United States and China while breaking ties with Taiwan, and signed a bilateral strategic arms limitation treaty (SALT II) with the Soviet leader Leonid Brezhnev. In November 1979, a mob of Iranian students stormed the U.S. embassy in Tehran and took its diplomatic staff hostage as a protest against the arrival in the United States of the deposed Iranian shah, Mohammad Reza Shah Pahlavi, in order to receive medical treatment. The students had the support of Iran’s revolutionary government, led by Ayatollah Ruhollah Khomeini. Carter stood firm in the tense standoff that followed, but his failure to free the hostages led his government to be perceived as inept and inefficient; this perception increased after the failure of a secret U.S. military mission in April 1980. Despite sagging approval ratings, Carter was able to defeat a challenge by Senator Edward Kennedy to win the Democratic nomination in 1980. He was defeated by a large margin in the general election that year by Ronald Reagan, a former actor and governor of California who argued during his campaign that the problem facing the country was not a lack of public confidence, but a need for new leadership. With his wife Rosalynn, Carter established the nonprofit, nonpartisan Carter Presidential Center in Atlanta in 1982. In the decades that followed, he continued his diplomatic activities in many conflict-ridden countries around the globe. In 1994 alone, Carter negotiated with North Korea to end their nuclear weapons program, worked in Haiti to ensure a peaceful transfer of government and brokered a (temporary) ceasefire between Bosnian Serbs and Muslims. Carter has also built homes for the poor with the organization Habitat for Humanity and worked as a professor at Emory University. He is the author of numerous books, the topics of which range from his views on the Middle East to memories of his childhood; they also include a historical novel and a collection of poetry. 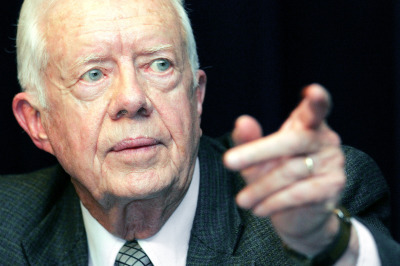 In 2002, Carter was awarded the Nobel Peace Prize. The prize committee cited his role in helping forge the Camp David accord between Israel and Egypt during his presidency, as well as his ongoing work with the Carter Center.